The London Marathon is less than 3 weeks away, and as the runners are coming to the end of their training regimes, we’re talking about training, hydrotherapy, and recovery! How much do you know about the London Marathon? A little over 40 years ago, the iconic London Marathon didn’t even exist! With that, the wheels were set in motion. Since the first race in 1981, the London Marathon has gone from strength to strength - from 7,747 runners in 1981, to a record-breaking 40,000 in 2018. The course is flat and fast, covering 26 miles of gruelling tarmac running. 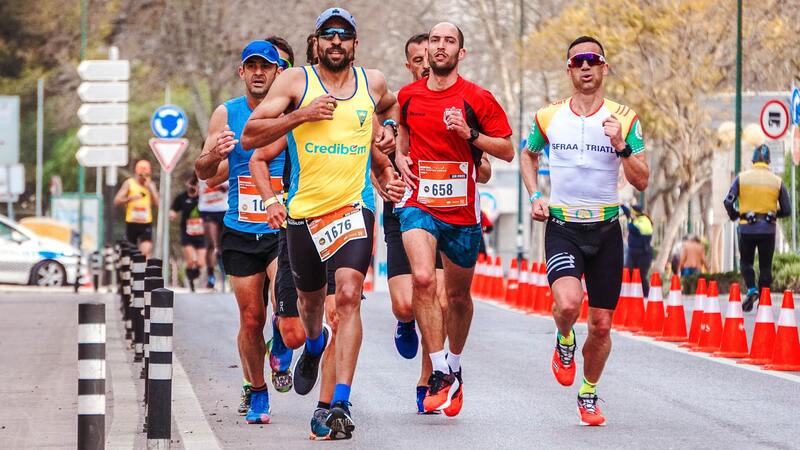 If you’re in the London Marathon this year, you’ll want to make sure you’re as prepared as possible – but your training regime doesn’t have to be all about running! It is vital that you look after yourself before and after the event. If you have access to a swim spa, the combination of swimming and hydrotherapy can be just what you need to beat your personal best and survive the demanding course! 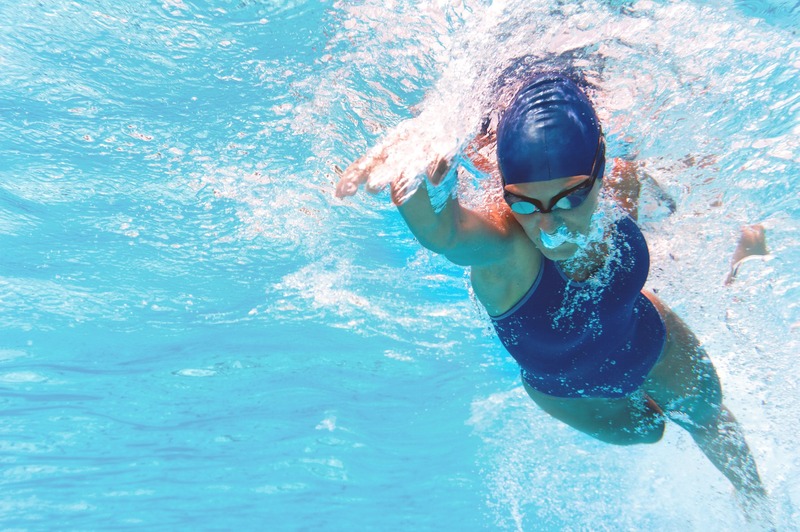 Swimming is an amazing way of switching up your training. It gives you a full-body workout without putting stress on your joints that you would experience while running. It’s also a great way to strengthen muscles that are not used during running, contributing to greater overall strength and fitness, which directly translates to increased speed and stamina. As a runner, I’m sure you understand the importance of strong core muscles for maintaining posture and stabilising your hips. Did you know that swimming is perfect for this? What if you don’t like swimming? We’ve got you. Using specialised exercise equipment such as exercise bikes, treadmills, and boxing equipment can give you a stellar workout using the resistance of the water! Getting into hot water is not only vital to your training, it’s also brilliant as part of your recovery! Whether you’re recovering from the Marathon itself or from a hard training session, swimming on your recovery days will help to accelerate your muscle repair. Swimming is not the only aquatic outlet that will help you take your athletic performance to the next level. 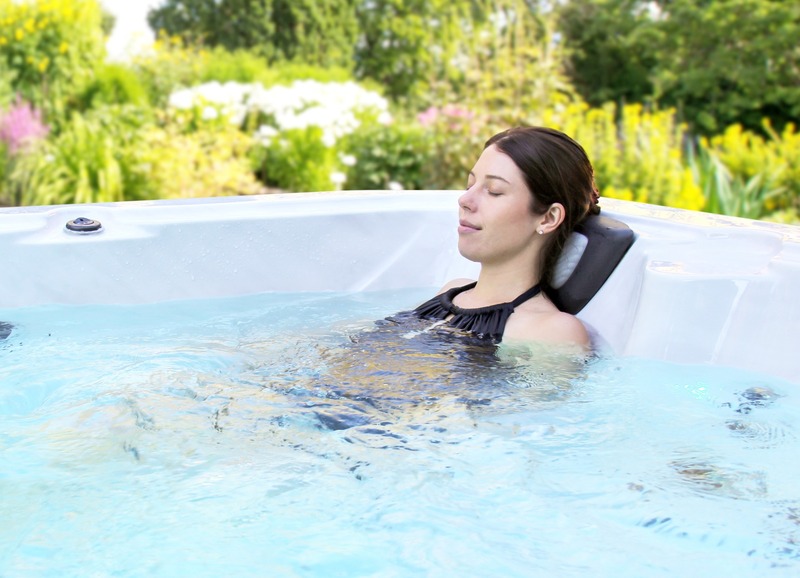 Hydrotherapy jets found in Swim Spas and Hot Tubs are perfect for easing muscle strain, helping to promote repair and recovery of your tissues after a gruelling day. Joint pain and inflammation are also common in marathon runners and respond well to the warm water and hydrotherapy jets. 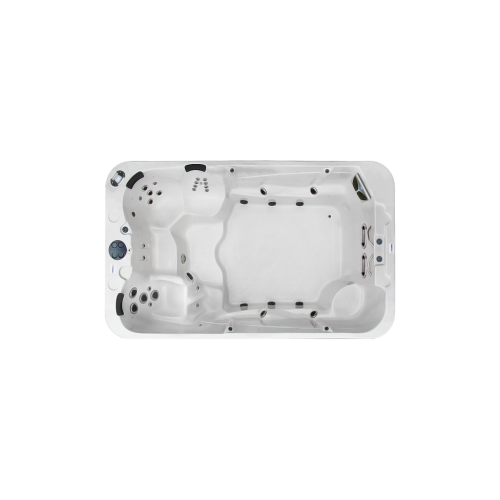 Swim Spas are the perfect combination of hot tub hydrotherapy and adjustable swimming exercise! 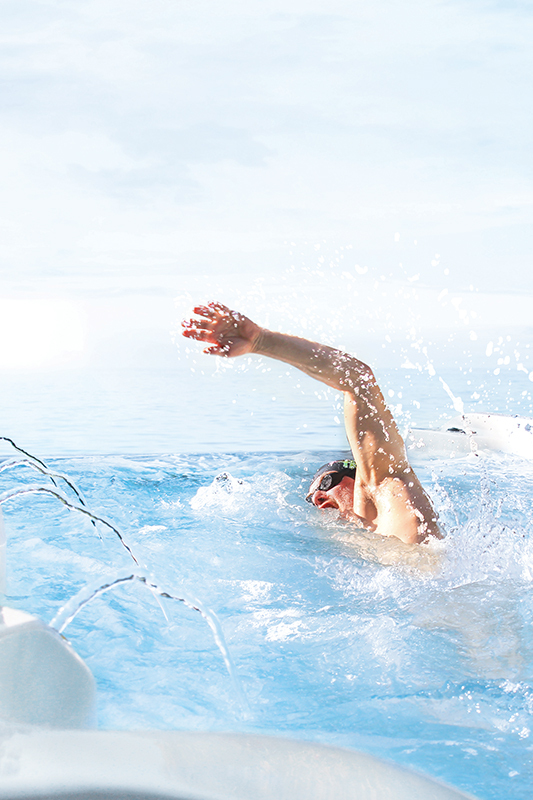 If you think that a Swim Spa could be just what you need to take your training to the next level, check out our range of Swim Spas available. 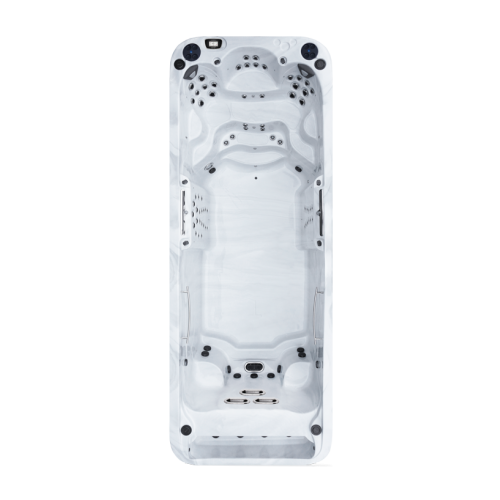 If you’re looking for something to help you with your training as well as make a great addition to your family garden, you need to check out the Brand New for 2019 21ft Infinity Edge Swim Spa! The swim lane is so wide and long that two swimmers can swim side by side against a powerful current that’s out of this world! There’s so much room for a true swimming experience without your feet or arms touching the spa walls. The swim spa also offers seating for up to 5 people with 3 dedicated massage seats and two stand up hydrotherapy zones! 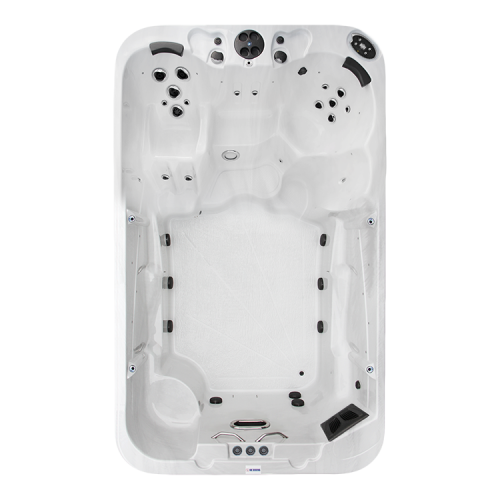 The 2100 VE Swim Spa is also available with a variable speed pump meaning you can customise your swim to suit your ability and experience from 1-100%. 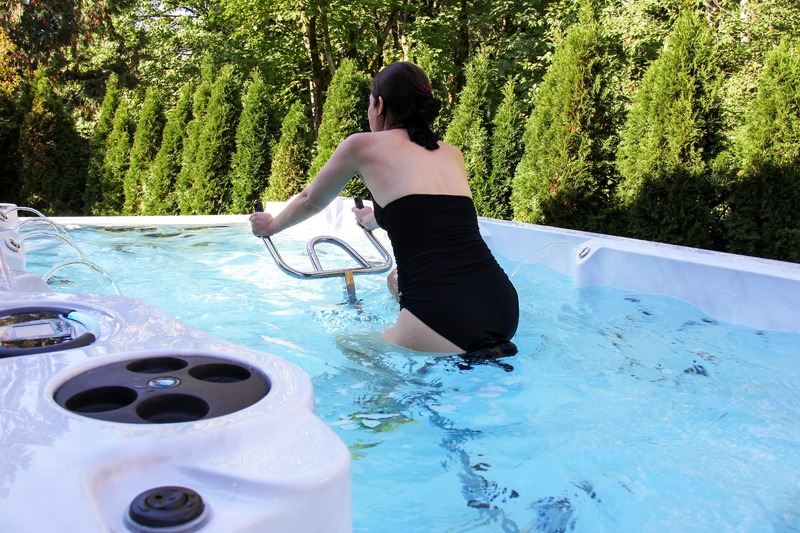 Perfect for interval training and catering to all swimming abilities! Check out our video of the 2100 VE Swim Spa in action at the International Dealers Meeting in Toronto in January 2019. 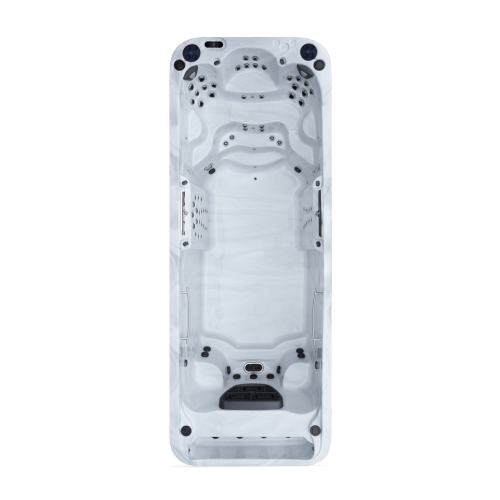 This Swim Spa is the first, largest & only portable Swim machine featuring the exclusive vanishing infinity edge design, giving you barrier free views to create the true feeling of swimming in open water. 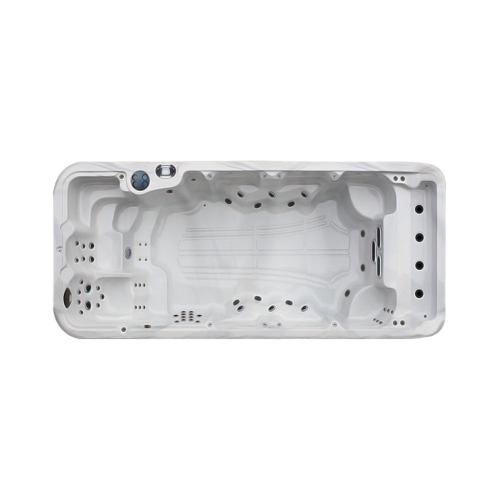 If you have any questions, just get in touch with us or download your FREE Swim Spa Buyer’s Guide to ensure you choose the right Hot Tub for you! And if you’re participating in the London Marathon later this month, Good Luck!